We draw inspiration from our clients. In fact, as we see it, listening is the first duty of design. When you engage our services, you trust us to transform your aesthetic and personal viewpoints in a way that complements and highlights who you are, and how you want to live. It’s an opportunity we honor by engaging you in an energetic, ongoing exchange of ideas. We work comfortably within a multitude of style conventions, from contemporary to classic, and everywhere in between. Our services include architecture, interior design, and custom furniture design. We travel freely and easily between the worlds of new construction, renovation, and interiors. It also allows us to provide holistic solutions to our clients’ needs. From blueprints to surface finishes, the entire house, in the end, sings a uniquely unified harmony of proportion, texture, light, and beauty. Our homes share a single characteristic: Livability. We use design to introduce a welcome sense of ease into daily life. The equivalent of spatial hugs, comprised of rooms that calm, organize, gather, inspire, and comfort our clients. We believe they are most beautiful once they are lived in. 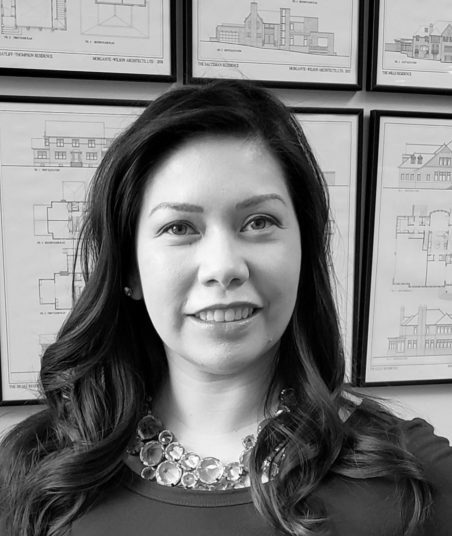 Architect, interior designer, educator, community leader and principal of an award winning architectural practice, Ms. Morgante’s myriad of interests are fueled by the love of design and belief that good design can improve the quality in which we live our lives. After almost three decades of scrutinizing the nuances of design, Morgante continues to be passionate on her pursuit for excellence. Her broad body of work includes architecture, interior design and custom furniture all with a common denominator: thoughtful attention to detail. Her holistic approach places her clients vision at the core of the design process. The result is a one of a kind expression of the client’s functional prerequisites and stylistic dreams interwoven with the wisdom of architectures vast possibilities. To stay at the forefront, Morgante promotes the role of architect as visionary and embraces the continuous evolution of ideas. 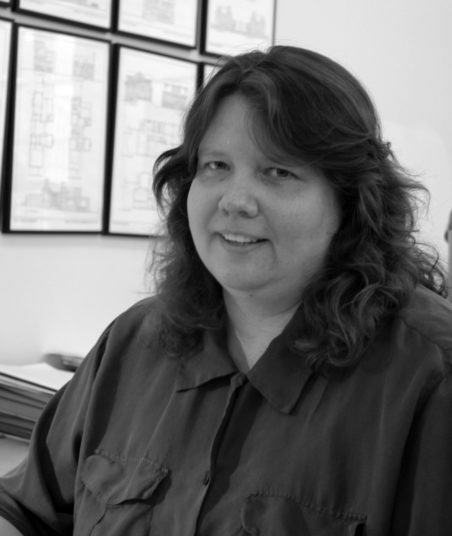 In 1994, she and her partner in life and business, Fred Wilson, formed Morgante Wilson Architects. Together they maintain a practice of over 20 architects and designers specializing in residential design. Their work receives national and local acclaim in publications ranging from Traditional Home to the Chicago Tribune. 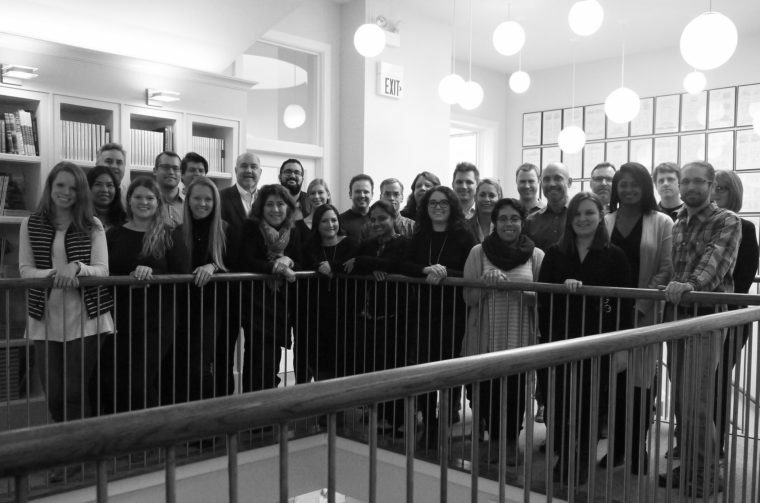 Chicago Magazine named MWA among the top 20 firms in the city. Their designs have been featured in books by Sarah Susanka and exhibited at the Art Institute of Chicago. Dedicated to giving back to the communities in which she works and lives, Morgante served on the Appearance Review Committee for the Village of Wilmette for ten years. Upon completion of this tenure the Village President appointed her to the Planning and Advisory Board for the Village Center Master Plan. Ms. Morgante’s philanthropic work also includes serving on the board of the University of Chicago Cancer Research Foundation Women’s Board and for many years contributed to the University of Illinois Chicago Alumni Advisory Board. She earned her BA in Environmental Design from Hampshire College in 1981 and a Master of Architecture from the University of Illinois-Chicago in 1987. 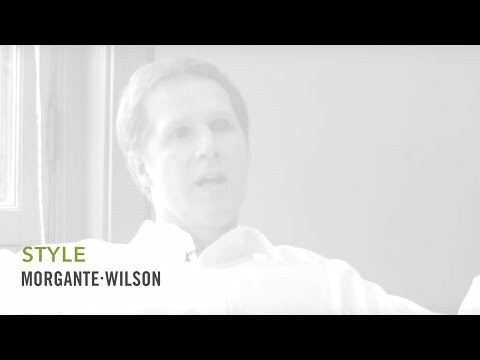 When Wilson established his Evanston-based practice, he was just two years out of graduate school. Co-principal and partner Elissa Morgante added new dimensions to the firm when she joined him in 1994. With expertise in architecture, interiors, furniture design and a respect for landscape design, MWA’s approach today is comprehensive and multifaceted--responsive to clients’ needs from start to finish. 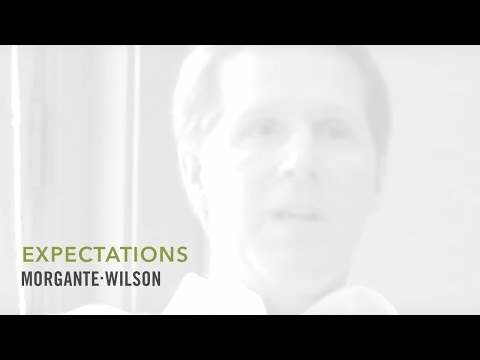 As a principal, Wilson works closely with MWA’s architects, nurturing their expertise and interests. Following Wilson’s example, designers at the firm share his commitment to getting every detail right, not to mention his infectious excitement about the work. His sense of humor adds a welcome shot of levity to the serious business of architecture. 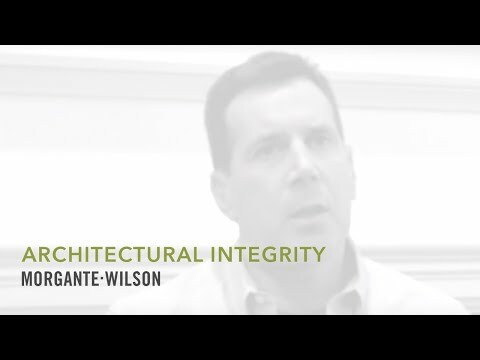 Wilson’s many distinctions include being named a national finalist in the “40 Under 40” award, sponsored by The National AIA and The Architectural League of New York, as well as the “Young Architect Award” from the American Institute of Architecture Chicago Chapter in 1998. Wilson received his Bachelor of Science in Architecture from The Ohio State University in 1983. He earned his Master of Architecture at the University of Illinois-Chicago in 1985. 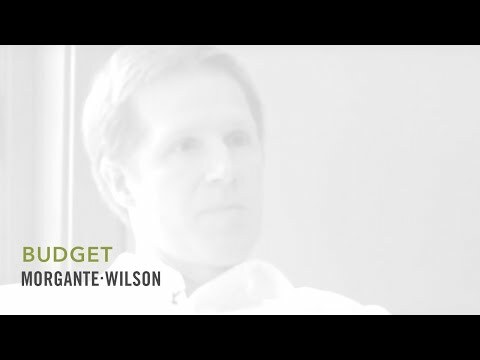 Upon graduation, Wilson joined the architectural firm Tigerman, Fugman, McCurry Architects, Ltd., where he was named the firm’s first associate. For Wilson, being a role model doesn’t stop at the office. For more than a decade, he applied his talents as a leader by coaching youth basketball in his community, building young athletes’ character by teaching the spirit of sportsmanship. Wilson also serves as President of the Congregation Sukkat Shalom. He is an architectural consultant for the building review commission for the Village of Kenilworth and serves as a board member of the Community Partners Affordable Housing Land Trust. The Land Trust is a not-for-profit membership organization created to offer permanently affordable housing opportunities for qualified, low-to-moderate income residents of the City of Evanston, Highland Park, Lake Forest, and Deerfield. He has been a visiting critic at the schools of architecture and design at the University of Illinois-Chicago, Ohio State University and the School of the Art Institute of Chicago. 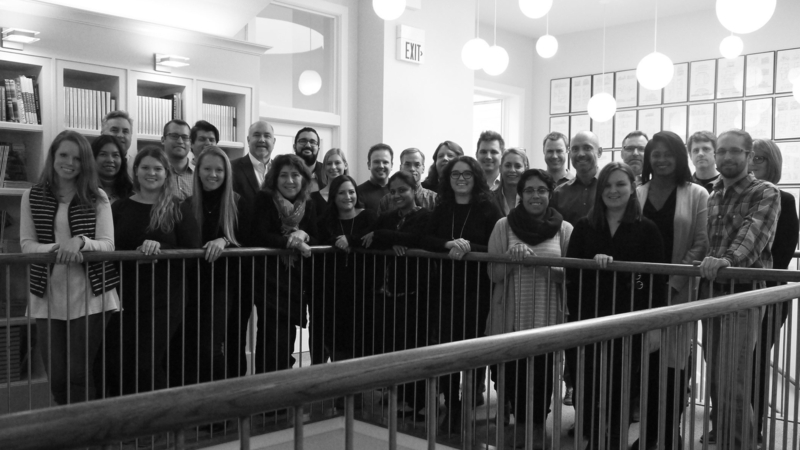 Additionally, Wilson has served as the School of Architecture’s constituent liaison for the University of Illinois-Chicago Alumni Association and on the Executive Advisory Board to the director of the School of Architecture. Recently, Wilson was honored to be included as a board member of the University of Illinois-Chicago Alumni Advisory Board. 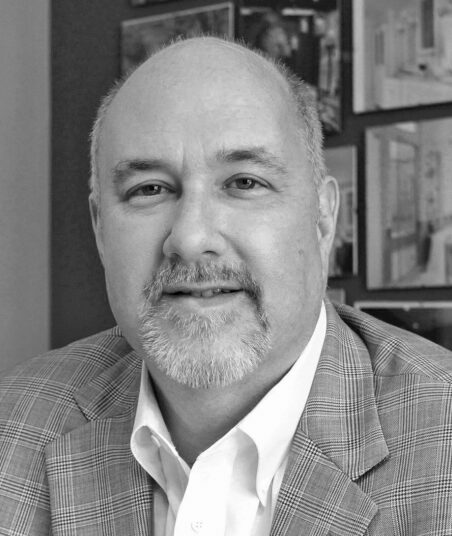 Bob has been with MWA more than 20 years, joining the firm in 1998 after moving to Chicago and following a short tenure with the architectural firm Solomon Cordwell Buenz. 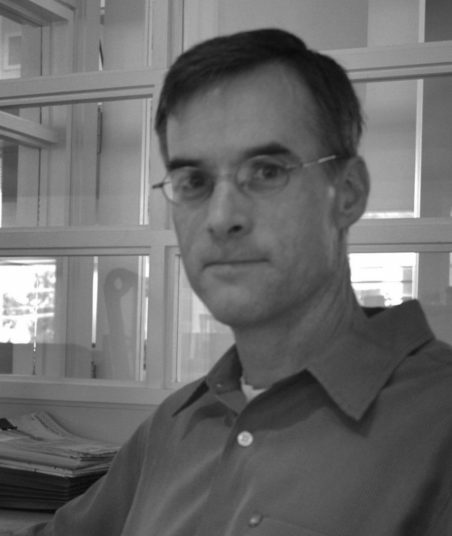 Skilled in a variety of design styles, Bob, an AIA member, works closely with every architectural project manager and the associated project teams at MWA. 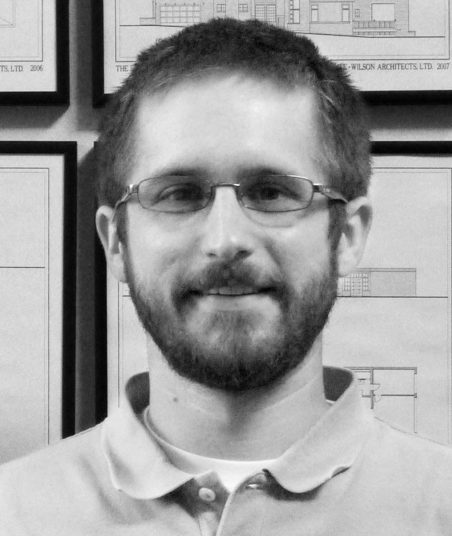 In his role as partner, he oversees projects at all stages, from early schematic design through completion. He is also involved in hiring and employee professional development, and heads the company’s mentor/mentee program. A native of Assumption, Ill., Bob attended the University of Illinois at Urbana-Champaign, where he earned both a Bachelor of Science degree in architectural studies, and later, a Master of Architecture degree. Bob is active in volunteering, with a particular focus on organizations serving those impacted by AIDS/HIV. 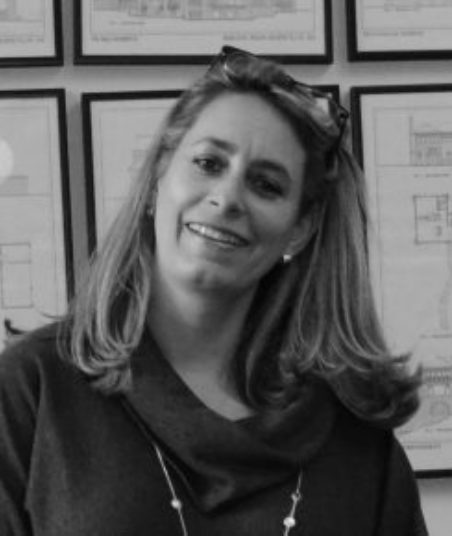 K. launched the firm’s interiors department with Elissa Morgante in 2007, expanding the richness and scope of the company’s work while also providing a valuable add-on service to clients. 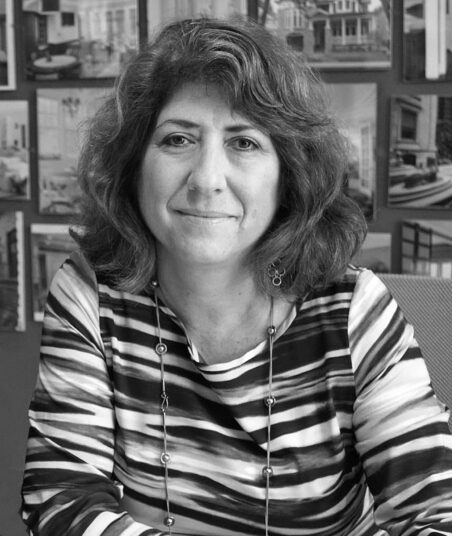 In her role as partner, she now leads interior design work spanning primary and vacation residences, private offices, and multifamily common areas, amenity suites and unit interiors. 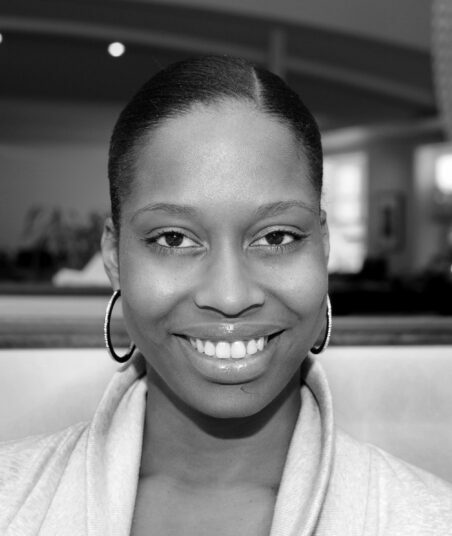 Prior to joining MWA, K. was a senior merchandise manager for Baker Furniture and a home décor buyer for Neiman Marcus Direct. Before that, she spent several years as a CPA/auditor for Price Waterhouse Coopers. K. received a bachelor’s degree in accounting from Southern Methodist University, and later went on to earn a degree in interior design from Chicago’s Harrington College of Design. 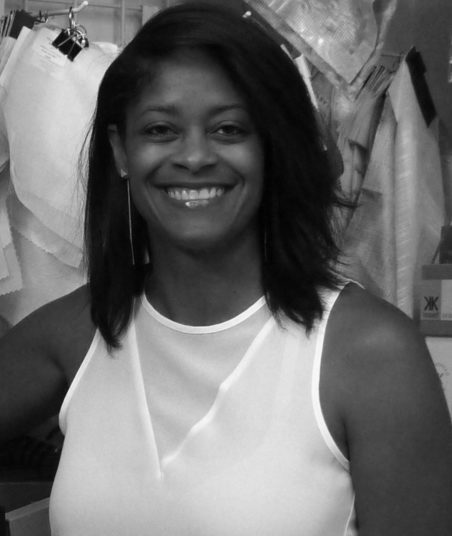 An Allied member of the American Society of Interior Designers, she is a member of the Women’s Club of Evanston. 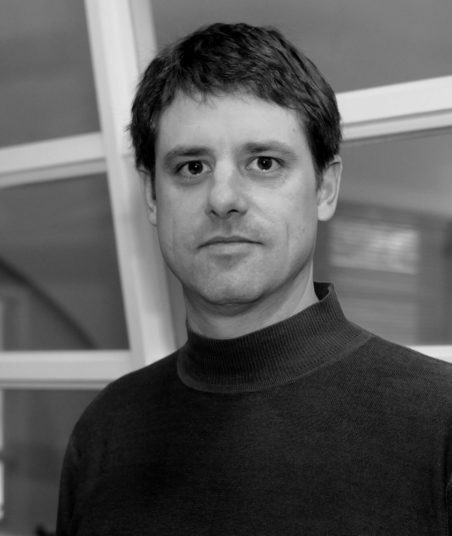 John joined MWA in 1997 as a project manager. 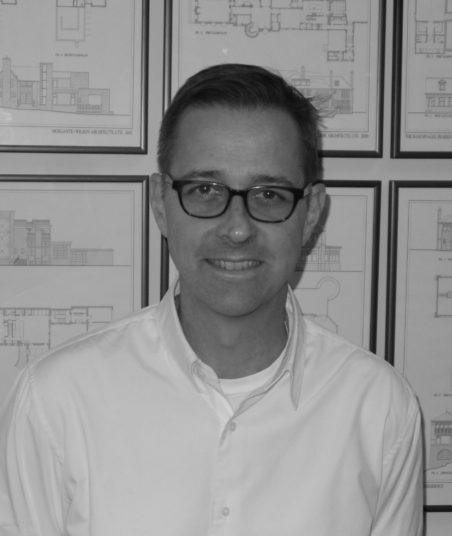 For more than two decades, he has worked with clients on private residences located across the country, and most of the firm’s commercial, multi-use and multifamily projects. In his role as partner, John is actively involved in efforts related to marketing the firm, including client interviews. A native of Syracuse, N.Y., and Boston, he earned a bachelor’s degree in art history from the University of Chicago and a master’s degree in architecture from the University of Illinois at Chicago. John is a member of the American Institute of Architects (AIA) and is licensed by the National Council of Architectural Registration Boards (NCARB). He is also active with Inspiration Corporation, a group that helps people affected by homelessness and poverty, and was recently named to the organization’s board of directors. 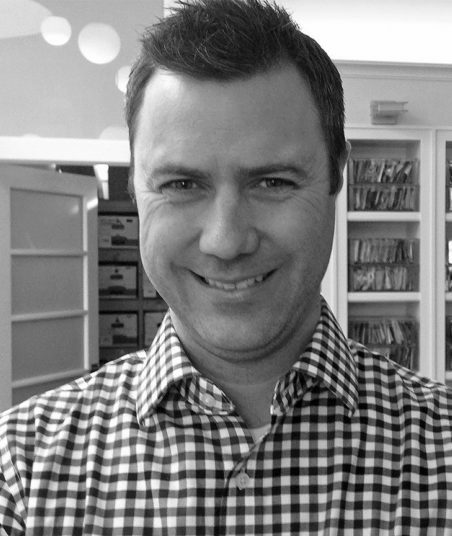 David joined MWA in 1995. John joined MWA in 2002. Karen is a graduate of Virginia Tech. 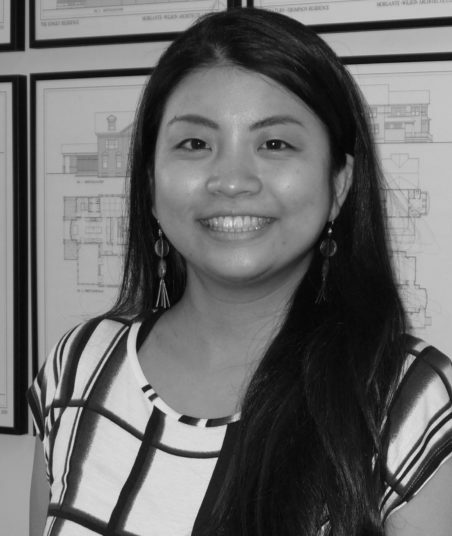 She is a licensed architect and has been with MWA for almost twenty years. 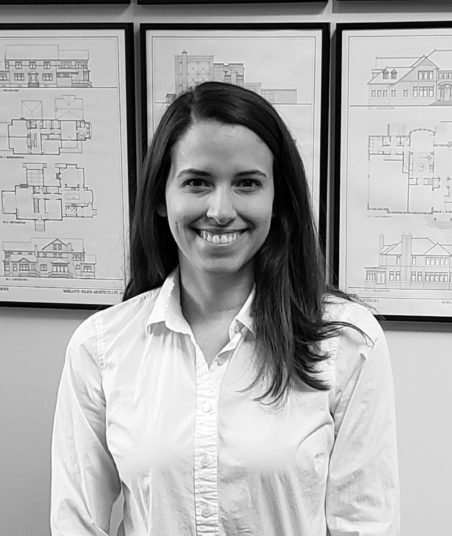 Karen’s primary responsibilities at MWA focus on the more technical aspect of our work including reviewing and coordinating drawings and handling zoning and permitting for MWA’s North Shore projects. Karen is inspired by Scandinavian design (part of her Finnish heritage!) and the architecture of Louis Kahn. Monica received both her B.S. Architecture and M-Arch Degrees at the University of Michigan Ann Arbor (go blue!). She has been with MWA 5+ years. An admirer of Alvar Aalto, Eero Saarinnen and other Scandinavian architects, she loves nice clean lines and lots of windows and natural light. Though a mere 5ft 1inch tall, she’s a leader at heart, a great problem-solver and listener. 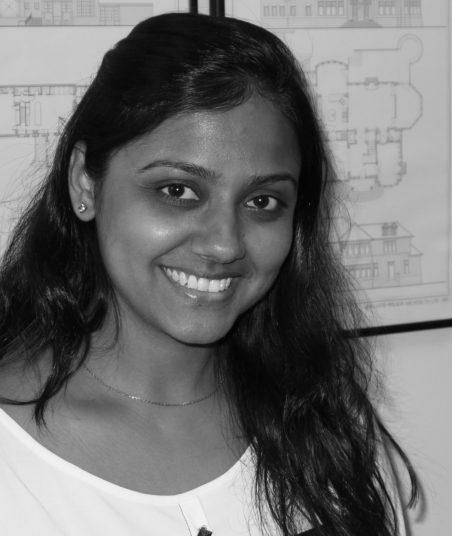 In addition to architecture, her passions include cooking, travel, and languages. 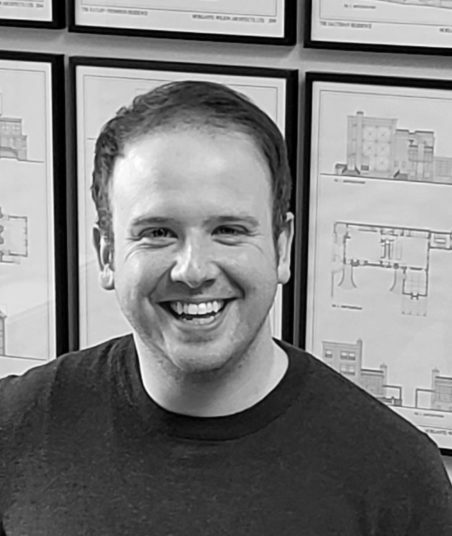 Kevin has been with Morgante Wilson Architects for 3 years, with 9 years in the industry and a lifetime of experience sketching floor plans and patterns for fun. With a keen eye for simple clean design and a preference for more neutral color palettes, Kevin’s ability to blend design elements and tend to small details which truly add the finishing touches to a well-designed space. His Favorite Design Style? Mid-Century Modern for its simple clean designs with warm touches of wood. 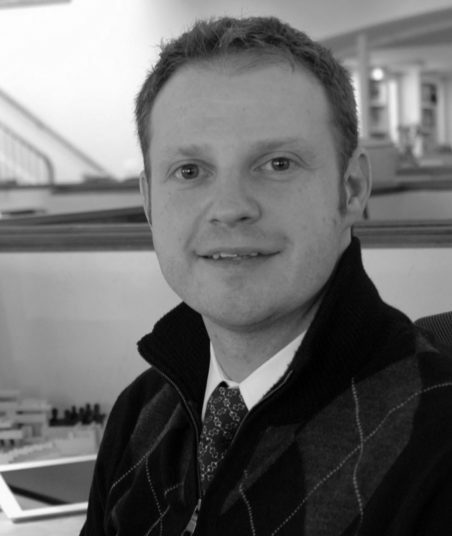 James joined the MWA Interior Design team in 2013. A background in printmaking and graphic design helped guide him to the appreciation of the special spaces that can be created in interior environments and a graduate degree at Harrington College of Design. In his free time, hand screenprinting on fabric allows him continue to explore scale and pattern with textiles. He enjoys MWA’s collaborative team process best of all, working with alongside clients and vendors to create inspired spaces. 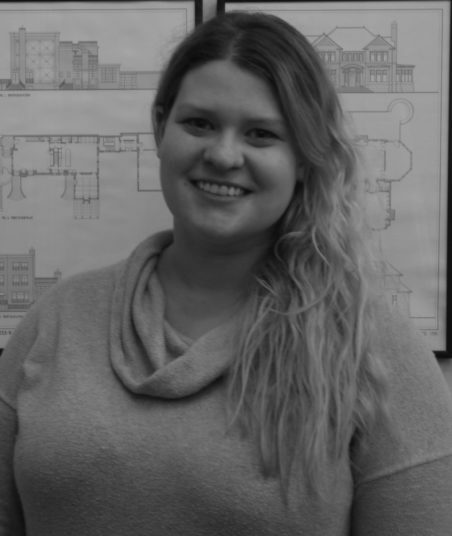 Born and raised in Chicago, Alicia is a graduate of the Illinois Institute of Technology and has been practicing architecture for over 5 years. 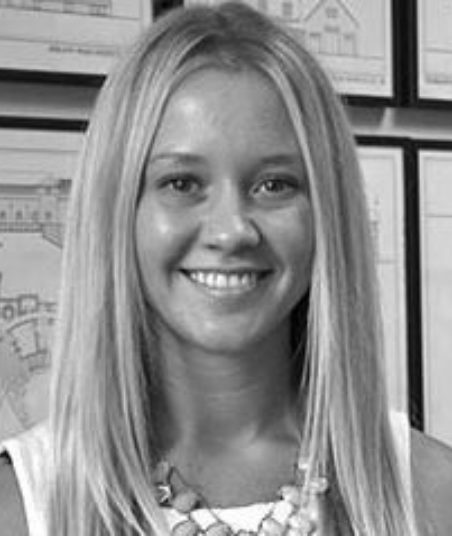 She whole wholeheartedly believes that successful design should be informed by the client’s programmatic needs. In her spare time, Alicia enjoys traveling with her husband, re-energizing through boxing and yoga, and trying new recipes. 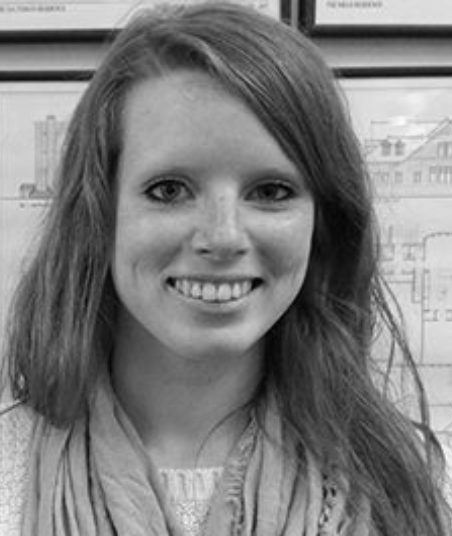 Alicia is a member of Chicago Women in Architecture and is currently pursuing her architectural registration in Illinois. Mary is constantly awed through the craftsmanship of builders and artisans, an entire structure comes together as a bold expression of the homeowner’s personality and style; and each home is as unique and varied as the people of our community. 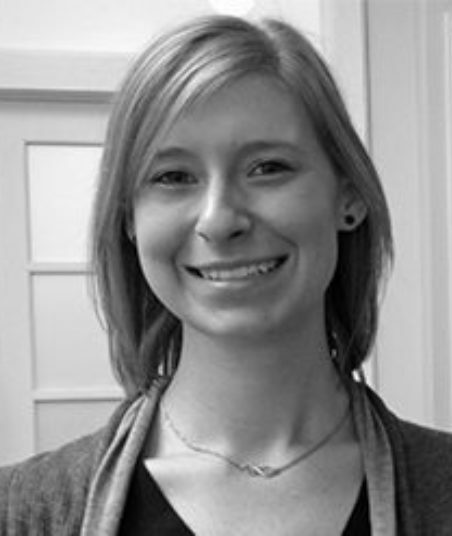 Mary is a licensed architect who studied at the University of Notre Dame, and has been with MWA for five years. 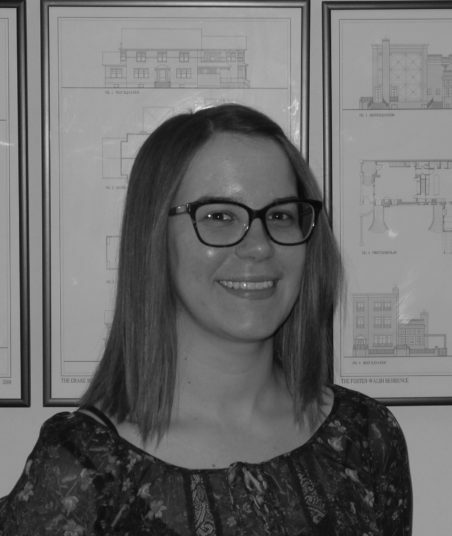 Danielle received a bachelor’s degree in interior design from Michigan State University in 2011 and began working at Morgante Wilson Architects in May 2014 as a project manager/interior designer. 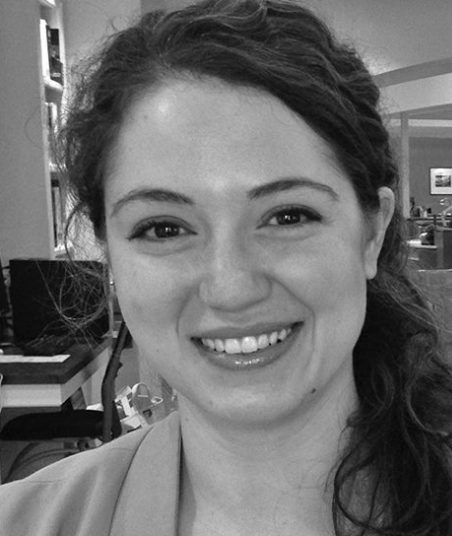 Danielle has a tailored design style with an emphasis on creating a cozy, livable spaces. She feels “a home is a space you should feel most like yourself in.” In her free-time, Danielle enjoys attending local art festivals, canvas painting and working on puzzles. 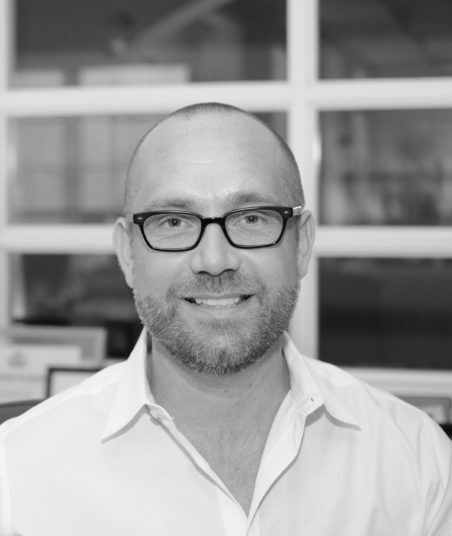 Greg is a dedicated design professional with over 18 years of well-rounded, varied experience in high-end residential, commercial, multi-use, and hospitality projects. With a focus on a balanced micro-macro design approach, he believes that sometimes the simplest solutions are the most elegant. 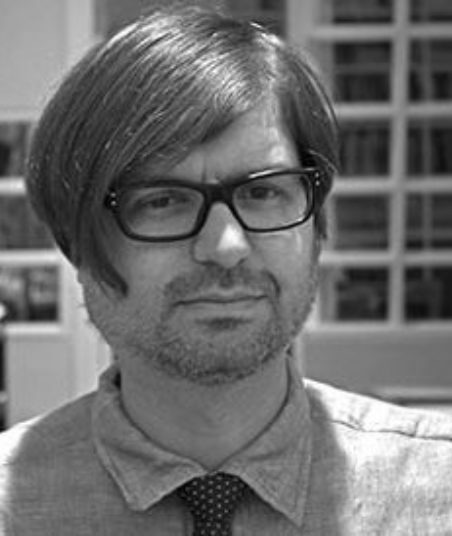 He has a recreational interest in graphic design, supertall buildings, history, technology, and sports. He studied architecture at the University of Illinois Urbana-Champaign, where he received his bachelor’s and Master of Architecture degrees. 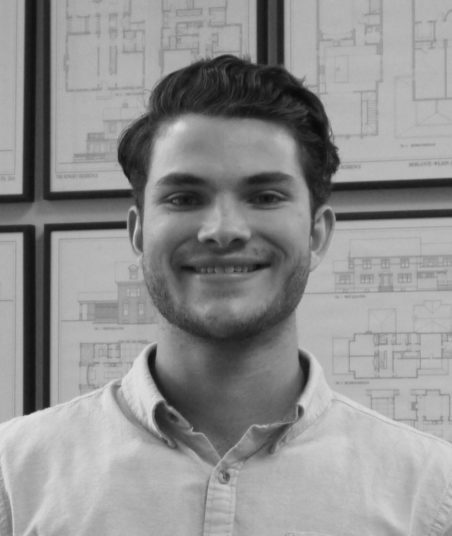 After graduating from the University of Wisconsin-Milwaukee in 2014 with his Masters in Architecture, Elliot joined the MWA Family as a Project Manager in 2015. He is drawn to all genres of Architecture, but his favored style is Modern and Contemporary Design. With a background in rough and finish carpentry, he enjoys both designing and building things with this hand. His other passions include photography, automobiles, furniture design, and fine woodworking. 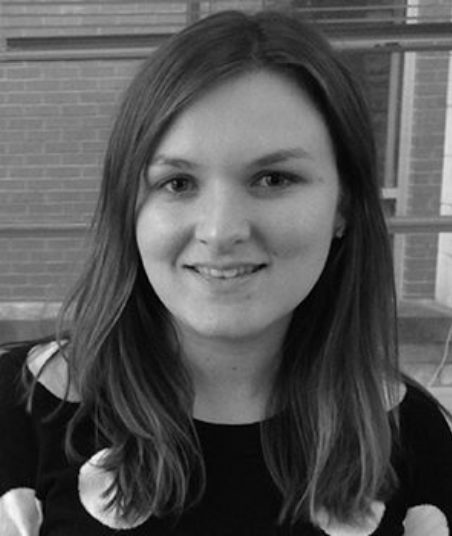 Siobhan received her Master’s degree in Architecture from the University of Illinois at Chicago. She began working at MWA in 2016 as a Project Manager. Her love of Postmodern and Art Deco architecture mixed with her love of mid-century modern furniture have provided her a broad palette of styles from which to draw inspiration. Outside of work, Siobhan enjoys live theater, the Chicago culinary scene and travel - especially visiting relatives in Ireland. 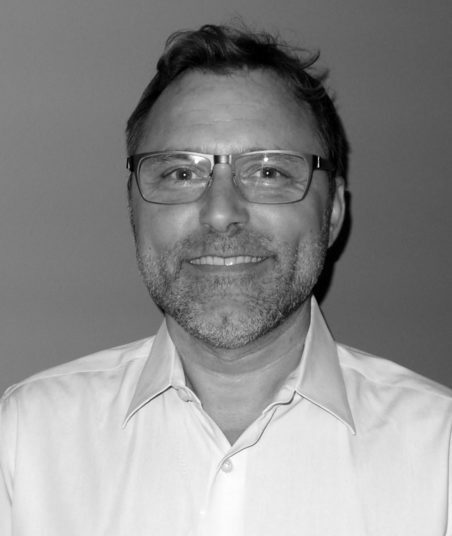 John brings 30 years of experience as a Project Architect and Designer on residential and commercial facilities. He received his B.Arch. degree from the Illinois Institute of Technology. 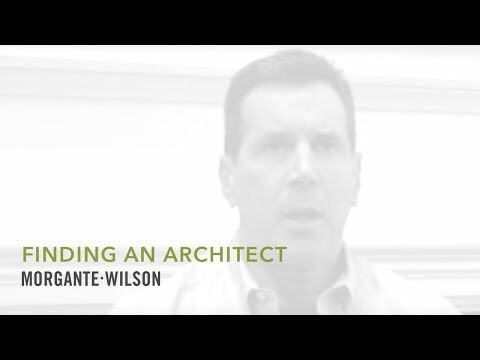 He is a licensed architect and NCARB certified. John has lived and worked in such varied places as Savannah, Georgia, small-town New Hampshire, and Madison, Wisconsin. Several of his projects on the North Shore of Chicago include award-winning renovations and additions to historic homes. In his spare time, he performs carpentry and finish work on the renovation of his own residence. 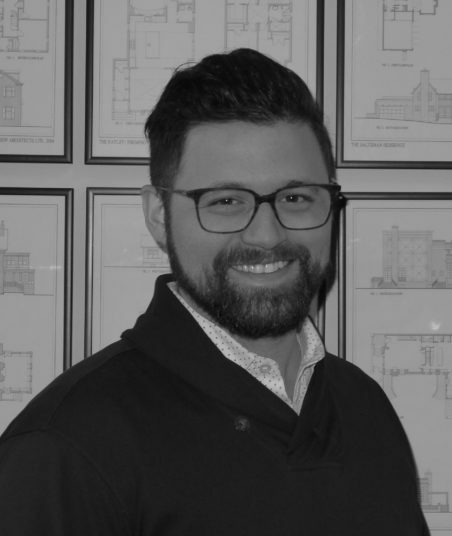 Michael attended Illinois Institute of Technology for Architecture, is an associate member of the American Institute of Architects with the ability to quickly understand a client’s vision and make it come to fruition. While maintaining that God is in the details, he believes less is more, but more - CAN BE so much more. His favorite Design genre is Modern - Rustic. Clean spaces setting framework for well-worn and handmade items, allowing a hygge lifestyle. Tomoe joined MWA in 2017 after attended Columbia College Chicago for her Bachelor of Fine Art degree in Interior Architecture. She loves figuring out the design details and the impact finishes have to a space. Tomoe enjoys all kinds of hands-on activities, specially sketching how people live in relation to Architecture, especially while traveling. Her passions have grown to gardening, and now her ambition is to have an organic vegetable garden in her backyard! With a passion for accounting and finance, Marie graduated with a Masters from Keller Graduate School of Management. She enjoys working side by side with partners, architects and designers as the firm’s first CFO. Outside of crunching numbers, Marie spends time with family, traveling, and thoroughly surfs Pinterest for the latest recipes and trending ideas. Hina has been at MWA for over 4years. She finished her masters from Northeastern University in Accounting. Hina is a member of the Ismaili Community which is also known as Aga Khan Development Network where she assists seniors according to their needs. Traveling is one of her passions, and loves the thrill of seeing new places. One thing she has learned in her career is the value of being positive; it’s her biggest strength. Caitlin was born and raised in Chicago. She went to school for Interior Design at Harrington College of Design. Spending most of her professional time working in various retail showrooms, this is her first job at an architecture firm. Frank Lloyd Wright has always been one of her favorite architects and she have visited many of his homes and buildings. Caitlin also has a passion for traveling. Abhishek completed his MArch from University of Illinois Urbana Champaign. 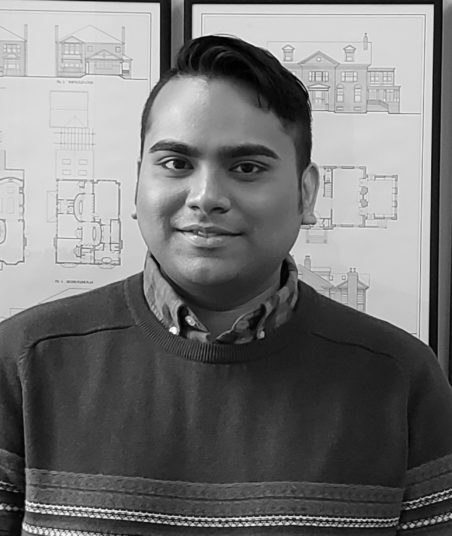 Presently an Intern Architect since June 2018 with MWA, and working toward his Architecture License in the state of Illinois. He believes in “Live for today and Design for the future!” Outside of work he is exploring DIY interior design projects in limited spaces in cities, which shows his favoritism towards residential designs. His personal hobbies include Urban lifestyle photography. So many of our clients return to work with us again and again, as their requirements and sensibilities change over time. These lasting partnerships are a source of pride for us – and a truly meaningful sign that we’ve indeed succeeded in earning the trust of the clients we serve. 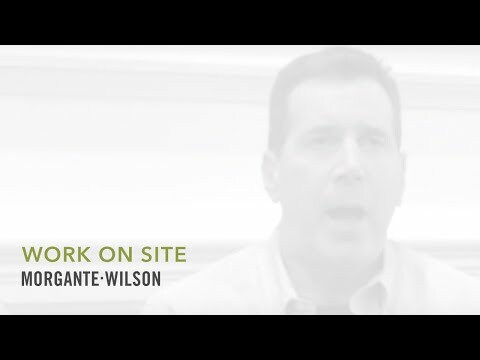 With more than 25 years experience, Morgante-Wilson Architects remains committed to our employees, our clients, our community, and our craft. 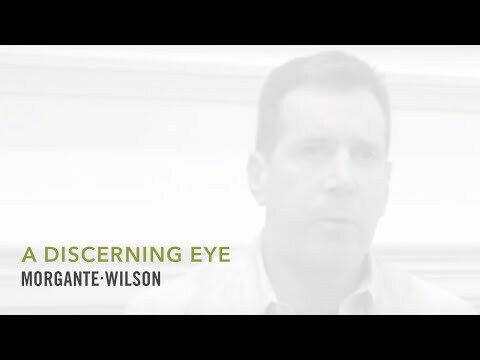 Watch the videos below with our clients talking about their experience with Morgante Wilson. 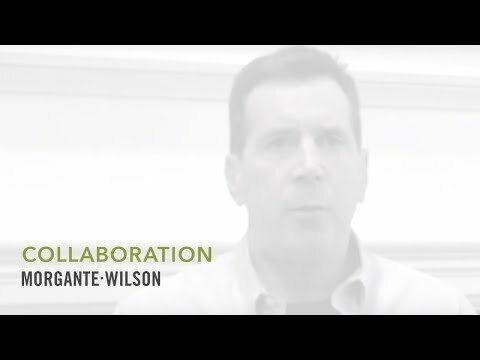 Morgante-Wilson Architects unwavering commitment to our profession, civic endeavors, and improving the quality of life in our community has motivated us to support a diverse group of local and national charities that strive toward a brighter future.